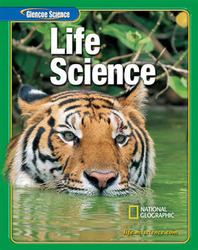 Life Science provides students with accurate and comprehensive coverage of Life Science, from the inner workings of the cell to ecology. The strong content coverage integrates a wide range of hands-on experiences, critical thinking opportunities, and real-world applications. This is part of a three-book series along with Earth Science and Introduction to Physical Science. Help students “read to learn” with a comprehensive reading strand. From in-text features to ancillary components, every student’s reading needs are met. Spend more time focusing on your students and less time planning with Glencoe’s extensive technology, including powerful tools like LabManager™, TeacherWorks™, Interactive Chalkboard, and ExamView® Pro Assessment Suite CD-ROMs.